If you’re a quarterback and you’re in his room, don’t you dare tell Mario Verduzco it’s Saturday. It’s not Saturday, it’s gameday. When the Huskers return to the practice field on Tuesday, it won’t be Tuesday. It’ll be gameday. At his last stop in Orlando, Nebraska’s newest quarterbacks coach wouldn’t let his signal-callers leave a practice without first answering that simple question. It’s gameday, every day. 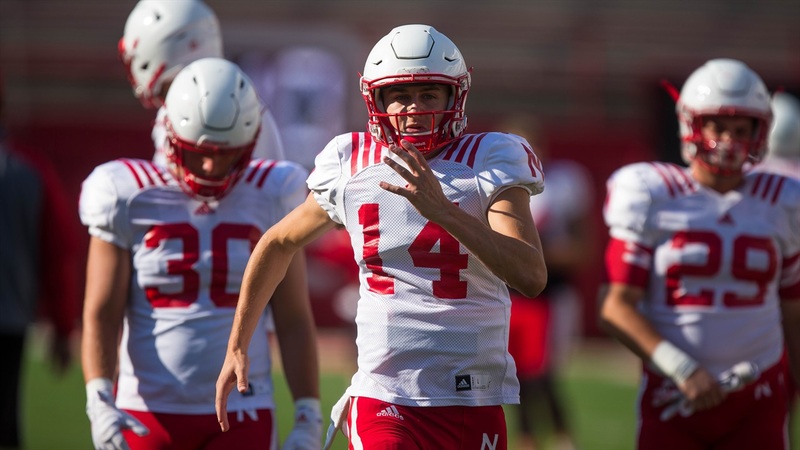 Pretty much every Nebraska coach has stressed the importance of practicing like it’s a game but in the quarterback room, that approach might be as important as anywhere. The Huskers are learning an entirely different offensive scheme from the one three of the four available guys were in last year, but there’s also virtually no in-game experience in that room to fall back on. Between the four guys expected to compete for the most important position on offense, there’s one half of one game’s worth of experience. Those guys need all the gamedays they can get between now and Sept. 1. Most of the install of the offense has been done. The Huskers scrimmaged Saturday and by most accounts, the defense won the day. As the quarterbacks go, everyone played. “All the guys are getting their reps right now; we’re splitting them up as evenly as we possibly can so there’s a rotation that, from their vantage point and anybody else’s vantage point, they can’t read into it,” Verduzco said. Does anyone have an edge right now? “No,” Verduzco responded with a nod and a matter-of-fact tone. Even if there was someone poking out above the group, the Huskers aren’t going to say. Offensive coordinator Troy Walters was asked about the race and said virtually the same thing as Verduzco: all are getting their shots, all have looked solid. But even though we don’t know who’s leading who, we know a little bit about what this new staff is looking for. Part of that leadership and command that Walters is talking about reveals itself in how the guys handle adversity. For the group on roster last season — sophomores Patrick O’Brien and Andrew Bunch and redshirt freshman Tristan Gebbia — they had as good a teacher to learn from as they could have hoped for in Tanner Lee. Lee had a roller coaster season but through it all was a consummate professional. Verduzco wants to see those same things with this group. So far there haven’t been a ton of turnovers from the quarterbacks — the count stands at four, something Verduzco is pleased with — but there have still been moments of frustration — a missed throw, a bad read, an unknown play — that Verduzco has used as teaching moments. With only two weeks left until the Spring game, we still don’t know who will start for the Huskers behind center and it doesn’t appear any of the quarterbacks themselves know either. There also hasn’t really been any indication of how long the competition will last. But, there is one question we can be sure each and every quarterback will know the answer to.